For the first time in a blue moon, crypto startup Coinbase recently saw one of its executives exit company doors, so to speak. Although some greeted this announcement with pessimism, insiders claim that the executive in question is poised to continue his immersion in the cryptosphere. On October 4th, as reported by NewsBTC, many investors were shocked when Bloomberg revealed that Adam White, Coinbase’s fifth employee, had unexpectedly decided to close his tenure at the San Francisco-based startup, now valued at a staggering $8 billion. As alluded to in comments issued by company representatives, White’s move to exit Coinbase was catalyzed by personal intentions and didn’t have anything to do with in-company conflicts. Keeping this in mind, many crypto investors questioned why the former Coinbase Institutional lead decided to leave amid the startup’s drive to introduce an array of products, solutions, and services. Now, just a week after this news broke, The Block has exclusively reported that Adam White has already found at home at Bakkt, an up and coming crypto platform that has partnered with some of the world’s leading corporations. Per those familiar with the situation, the former Coinbase executive has been assigned as Bakkt’s chief operating officer and will oversee the startup’s operations from a holistic perspective. The insiders claimed that White will be directly reporting to CEO Kelly Loeffler, who stepped down from her stint at the Intercontinental Exchange (ICE), the New York Stock Exchange’s parent company, to foray into crypto markets. White brings experience and knowledge from his five-year stay at Coinbase, Activision Blizzard, and Harvard Business School, where he obtained an MBA in 2013. It is important to note, however, that White nor Bakkt spokespeople haven’t corroborated the insider report as of the time of press. For those who aren’t in the loop, U.S.-based Bakkt is a “scalable [crypto] on-ramp for institutions, merchants, and consumers” that has been overtly endorsed by ICE, Microsoft, Starbucks, and a multitude of fintech-focused venture funds and groups. According to NewsBTC’s initial coverage of the matter, Bakkt intends to develop its platform into a one-stop shop, where crypto investors can buy, sell, store, and spend digital assets in a single, decentralized ecosystem. To kick off Bakkt with a bang, the individuals behind the startup intend to introduce an innovative take on Bitcoin futures, which may put the already-established contracts run by traditional financial institutions to shame. Unlike the CBOE’s Bitcoin futures market, the ICE-backed platform intends to physically “bakkt’ its contract, which will see market makers actually purchase Bitcoin. As explained by Ironwood Research Group (IRG), the physicality of Bakkt’s futures market will directly reduce the amount of circulating, tradable BTC available, pushing up the price in the crypto market over time. As this vehicle is likely to see a regulatory green light in due time, this platform has the potential to draw in capital allocations from thousands of investors, whether from retail or institutional backgrounds. 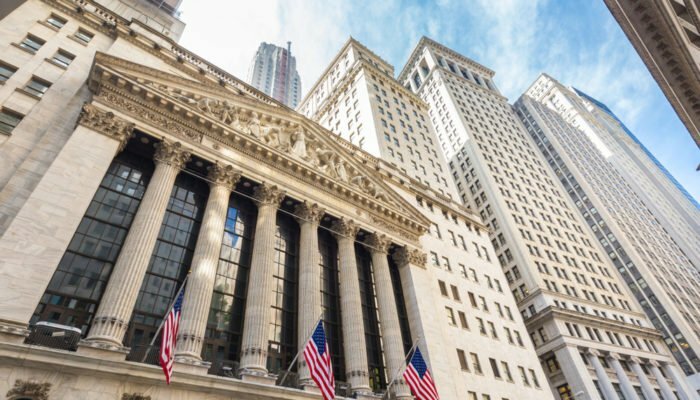 So all eyes are on Bakkt’s upcoming launch, which is slated to occur in November of this year. But, as the launch approaches, one question remains on the minds of investors — will Bakkt’s arrival catalyze crypto’s next bull run?